As president and chief executive officer, Michael ‘Mike’ Neal is responsible for guiding the H.G. Fenton Company organization to achieve its vision and strategic plan objectives and for overseeing all real estate operations. Neal joined H.G. Fenton Company in 1988 and is considered the chief architect of the company’s real estate emphasis and growth. Under his direction, the privately held organization is one of the largest real estate owners and developers in San Diego County. Neal’s career is not solely defined by his success building companies, organizations, and communities, but also in his leadership style. Values, trust, communication, developing employees and fostering a culture of lifelong learning are all elements of his personal mantra of ‘Beginning with the End in Mind’. Combined, these factors allow H.G. Fenton Company to stay focused, exceed goals, and continue to grow in success. Neal is a graduate of San Diego State University with a bachelor’s in business administration with an emphasis in real estate and a master’s in real estate. Currently he holds various professional affiliations such as NAIOP’s National Investment Management Forum and the Building Industry Association of San Diego County. He is also very active on the Zahn Center Advisory Board at SDSU which helps students; faculty and staff launch a start-up from their early state idea and other community activities. Professional affiliations include: member and past president of the Building Industry Association (BIA) Board of Directors, member and past president of the Commercial and Industrial Council, former board member of the California Building Industry Association and past member of Vistage International. Neal is a member of the San Diego Association of Realtors and CleanTech San Diego. 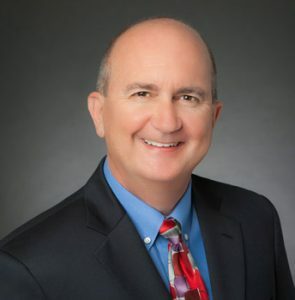 He is a graduate of LEAD San Diego, serves on the San Diego Regional Chamber of Commerce CEO Roundtable, the San Diego EDC Chairman’s Council, The San Diego Foundation Economic Development Task Force and the SDSU Real Estate Advisory Board.